Speaking of reality shows, Julia Landauer, a contestant on the 2013 Survivor: Caramoan series, makes her NPS debut this Saturday. The New York City native has been racing since she was six years old and finished fourth overall in the NASCAR K&N Pro Series West in 2016 and seventh overall in that series in 2017. A professional motivational speaker, Landauer was named on the 2017 Forbes magazine “30 Under 30 list of brightest young entrepreneurs, innovators, and game changers in sports”. The weekend kicks off Friday, August 17 with the Henry’s AUTOPRO 100 for the Napa Sportsman Series and the Passione Flooring 50 for the MJS Holdings/Prime Lift East Coast Mini Stock Tour. 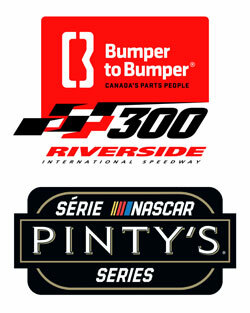 On Saturday, August 18 it’s the NASCAR Pintys’ Series Bumper to Bumper 300 and the Maritime League of Legends with a 50-lap points race. Racing starts at 7 p.m. on Friday and on Saturday NASCAR qualifying is set for 3:00 p.m., Legends heat races at 4:30 p.m., followed by a NASCAR autograph session at 5:25 p.m., the Legends feature race at 6:15 p.m., NASCAR driver introductions at 7:25 p.m. and the Bumper to Bumper 300 at 8:00 p.m. The grandstand gates and box office opens at 12:30 p.m. on Saturday and 4:00 p.m. Friday. A detailed schedule for the weekend can be found here. Reserved and general admission tickets are available online as either a weekend pass or single-day tickets. Reserved seats are only available in advance. Advance ticket sales close Thursday at 5:00 p.m. General admission tickets will be available at the gate on race day.